It’s been quite awhile since our last hardware update, so we thought it best to update you all on our newest Amulet Hardware! Below are pictures and specs for our most recent hardware revision, which features a Sharp LS013B7DH03 display, three capacitive touch sensors, and a custom 3D printed case that is made up of two different types of materials–a soft flexible plastic to cover the buttons, and a hard durable plastic to encase and protect the inner electronics. Haptic buzzer, and two LEDs. The small secondary storage board holds a microSD card reader. Text and images on this site are copyrighted material, with copyright held by Dartmouth College or by the author of each blog post. 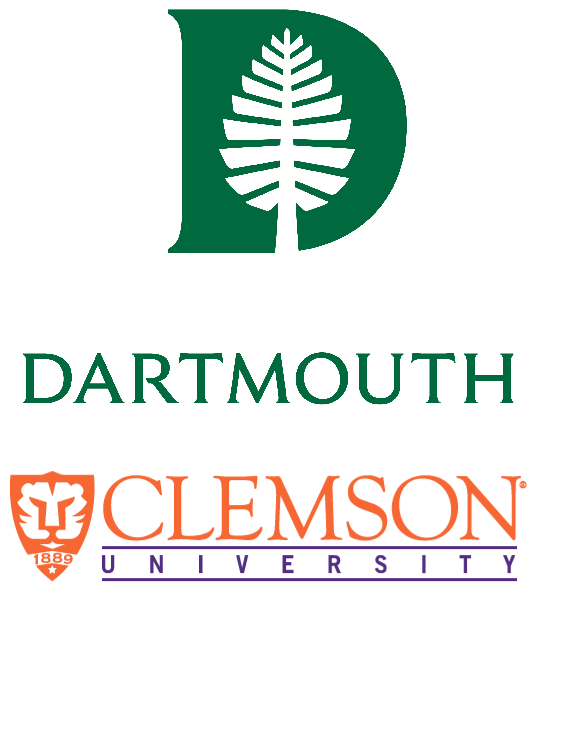 University logos are trademarks of their respective university and are used by permission. This research program is supported by the National Science Foundation (NSF) under award numbers CNS-1314281, CNS-1314342, CNS-1619970, and CNS-1619950, with preliminary work funded by the NSF under award number 0910842 and by the Department of Health and Human Services (SHARP program) under award number 90TR0003-01. The views and conclusions contained on this site are those of the authors and should not be interpreted as necessarily representing the official policies, either expressed or implied, of NSF. Any mention of specific companies or products does not imply any endorsement by the authors or by the NSF. The Amulet logo was designed by the students of the DALI lab at Dartmouth. The Amulet case and its integration with an off-the-shelf wristband were co-designed by the Amulet team and the students of the DALI lab at Dartmouth. We are grateful to their creativity and assistance!